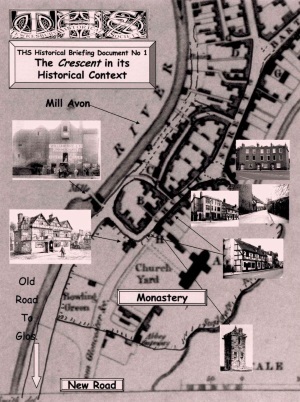 John Dixon has used resources gathered over the years by the Tewkesbury Historical Society to produce a short booklet which seeks to place the current debate about the Crescent into its historical context. After all much of the debate about the town’s future focuses upon how best to utilise the town’s superb historical features for modern purposes. All too often, the History is not appreciated especially by those who have not lived in the town all their lives. 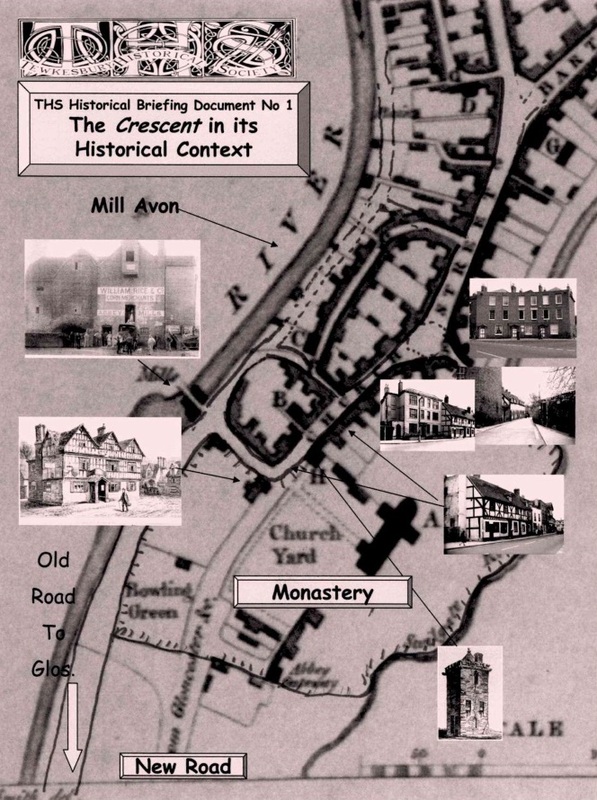 In this booklet, we learn that the Crescent itself was never fully developed upon the Bath/Cheltenham model but it was known as the Bull Ring in the Middle Ages when the Town’s market was naturally held outside the gates of the Abbey which dominated the town. Church Street only became a through road in the late 18th century and, until then, the Bell Hotel, aka the Angel or the Ring o’Bells, was a pilgrim’s hostel situated safely in the Abbey’s grounds leaving the muddy road to Gloucester via Deerhurst to pass through today’s Victoria Pleasure Gardens by the Abbey Mill. At one time the Abbey grounds even hosted the Town jail! The twelve page booklet is illustrated with 21 illustrations including the house, now demolished which was built after the Crescent and really spoiled the area’s harmony. Abbey Lawn House, known to locals as the Mayor’s House was the really the Town Clerk’s grand home, but it was demolished, perhaps unlamented, in the 1960s. The dilapidated house was purchased for the Abbey Lawn Trust in memory of Mrs. Victoria Woodhull-Martin, the controversial, American Lady of the Manor of Bredon’s Norton. 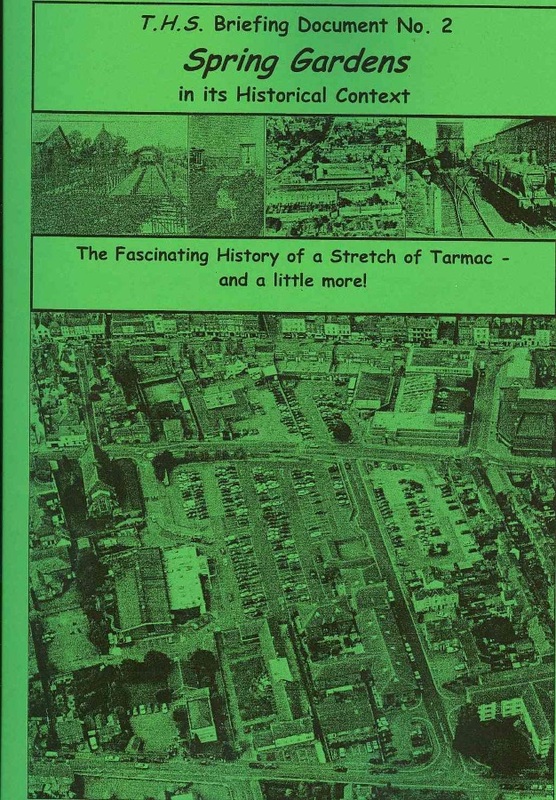 The booklet is designed to be the first rather than the last word in compiling the history of the area and the author would appreciate corrections and additional information. Spring Gardens, to many people, is just a huge expanse of tarmac. It has always been located adjacent to - but not quite in - the centre of Tewkesbury’s life. I am still uncertain of the location of the "spring" but, in the medieval town plan, the area was indeed used as a plot of garden land owned by the richer burgesses who lived in large houses on the three main streets. It was Tewkesbury’s medieval ‘open field’ which was enclosed in 1808-11, with land legally allotted to certain individuals. However the land was soon prey to the developers of the industrial revolution and, gradually, much of the area was consumed by industrial buildings. The northern strip was consumed by the branch railway, built from Ashchurch around 1840 along with Downing’s large Malthouse. In the south, land was given in 1837 for the building of Holy Trinity Church to accommodate the spiritual needs of the growing number of working people attracted into the town’s textile industry and to Holy Trinity School to cater for their education needs. To accommodate their physical needs, immediately to the south of the railway appeared between 1833 and 1861 a housing development known as Spring Gardens. Know to locals as the "Rabbit Warren", this neglected area of housing was demolished in 1955. We shall demonstrate, however, that families of some distinction emerged from Spring Gardens. Much of the remainder of the area stayed as gardens until the twentieth century with the exception of Samuel Barnes’ Almshouses, built on the Chance Street edge. However, in 1908 Thomas Walker’s Factory in Oldbury Road, then famous for building fairground machinery, was spectacularly burned down, an event which prompted Walker to build his new factory on the gardens to the north and east of Holy Trinity Church. However, it was only a short time before Walker’s death and international competition caused Walkers to go out of business. However, his site was promptly filled by Hone’s new cattle marketwhich was opened in 1927 amidst great fanfare by the local M.P.. This cattle market was a replacement for a smaller one along Oldbury Road, in what is now known as Hone’s Court housing development. The other main inter-war development was the building of a Telephone Exchange to the south along Chance Street – a building which has been transformed by 1977 into St. Joseph’s Catholic Church. After World War II, the area came under the protective embrace of the historic Town Council which gradually cleared the area of buildings and replaced it with a car park. Significantly in 1968 however, it joined with the people of Tewkesbury to build a swimming pool, now known as Cascades, whilst the Lodge of Free Masons bought the former school and headmaster’s house of Trinity School. the future of Cascades Swimming Pool which is regarded as in need of refurbishment so costly that it should be replaced by a modern leisure centre, which reflects future needs and which can compete with those operating in Cheltenham and Gloucester. How can such a development be financed? In 2005 a consultants’ report was published which recommended the building of this leisure centre at the Borough Council site in Gloucester Road. the future of Spring Gardens. Is it the case that the only way such a leisure centre can be financed is by selling Spring Gardens to a developer? Would a developer seek to build another supermarket or would it be restored to a housing development? In either scenario, the town would be deprived of a car park at the centre of the town and that loss might cause the shops and commercial establishments of the three main streets to enter terminal decline as shoppers forsake Tewkesbury for the free parking of super stores on the outskirts of Cheltenham and Gloucester. In addition, it would deprive the Borough Council of much needed revenue in solving its long term financial problem. Spring Gardens is, therefore, once again thrust into the heart of a debate about the long term economic future of the Town and, indeed, the Borough. It is to be hoped that this history of the area will aid that debate. In the autumn of 2006, town’s people were shocked by the apparently sudden sale of the Royal Hop Pole Hotel to the pub chain, J.D. Wetherspoons. Perhaps because of the speed of the transaction, the initial reaction was hostile since many people cherish the Hop Pole for different contributions to the Town’s history and culture. Patience was further stretched by the sudden sale of furniture and fittings which contained a valuable wooden table which had dominated the old hotel which was thought by some to have been "removed" from the Abbey at the Dissolution in 1540. Eventually J.D. Wetherspoons acknowledged the strength of local feeling and, even though the table was not claimed by Abbey experts, it was withdrawn from the sale. In addition the Managing Director accepted an invitation from the Tewkesbury Forward Group to address its members and the public. This took placer on 4 December 2006 and there was a partial welcome to the firm's commitments to maintain as much of the historic character of the Hop Pole as possible. To this end, I pledged to produce, for J.D. 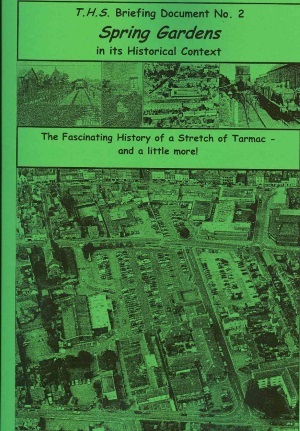 Wetherspoons, a CD Rom with pictures and commentary containing the history of a fascinating building. 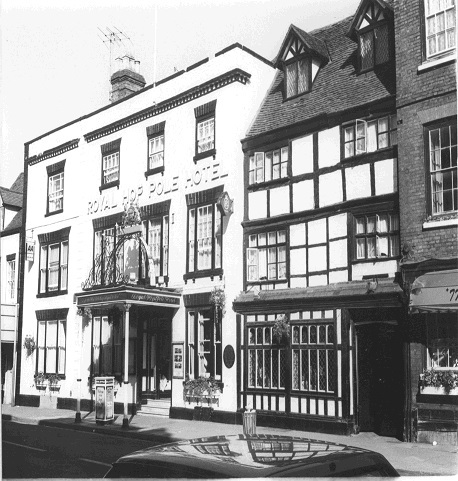 Possibly built by 1786, it comprises in fact three distinct buildings, still addressed as 94-96 Church Street: the former Riverside private residence and Temperance Hotel; the Hop Pole Coaching Inn and the former Bull Inn, shops and passage which is now the dining room extension and back entrance to the kitchens. The account acknowledges that the origin of the name in this area is still a mystery but the Royal appendix is explained as is its importance to the Dickens Society of the early 20th century. It is to be hoped that, once acquainted by the love of the townspeople for its historical public house, then J.D. Wetherspoons will develop it with far more sensitivity and taste and this will prove to be just the latest stage in the successful history of the Royal Hop Pole Hotel.